The goal of the Delta Mercury Exposure Reduction Program (Delta MERP) is to reduce human exposure to mercury by promoting awareness about the risk of consuming fish from the Delta. Delta MERP is a collaborative effort of the Sacramento-San Joaquin Delta Conservancy, the California Department of Public Health, and the Central Valley Regional Water Quality Control Board to reduce human exposure from eating contaminated fish. Some fish that are caught in the Delta, and other water bodies in the State, contain elevated levels of mercury. 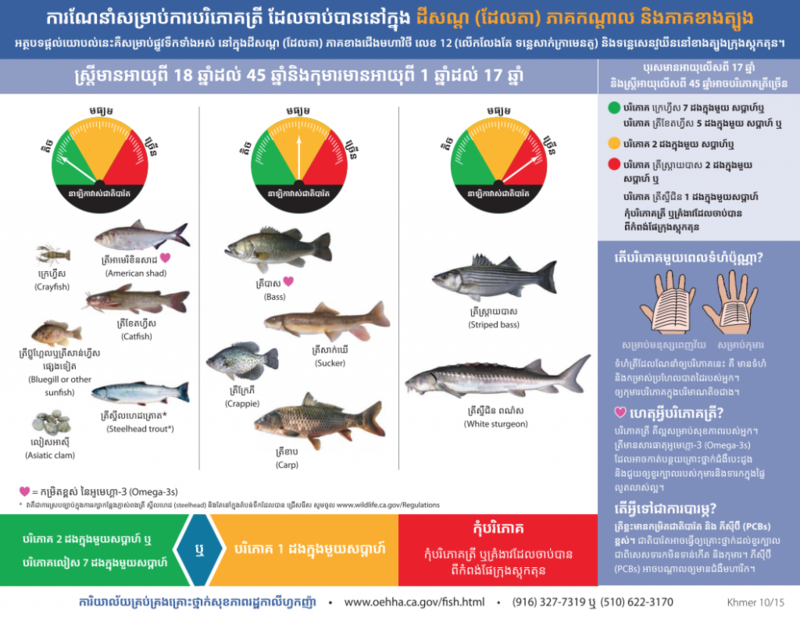 While fish is a highly nutritious food, it is important to limit or avoid the types of fish that are high in mercury. MERP activities include convening a stakeholder advisory group, implementing outreach and education projects, developing signs in the Delta and developing multilingual educational materials. For more information please contact Seng So at (209) 944-1700 or sseng@apsaraonline.org.